Software Training provides instructor-led training in computer applications to all current employees and students. 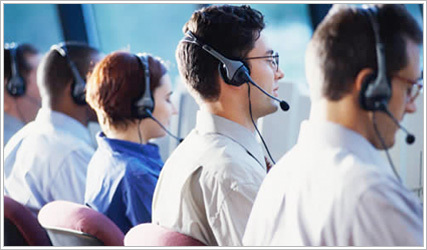 We also provide one-on-one assistance both in class and in our office. The goal of Software Training is to provide the campus community with the technological knowledge to improve work, teaching, and learning environments. Software Basic Courses: These courses cover the basics of a program at a thorough pace, focusing on instructor-led examples, solution-based projects, and guided practice time. Classes are organized into 2-4 periods, usually lasting 45 min-1 hour. Advanced Courses: These courses delve into advanced functions of each software, building upon the basic courses. Classes are organized into 1-2 periods, usually lasting 45 min-1 hour. Custom Courses: Departments or groups may order customized courses beyond regularly scheduled classes. Contact us at learnsoftware@byu.edu to schedule your custom class. There is no charge for use of this service. Available to all current employees and students. Training Home Page: BYU Software Training website, with links to information on trainings for Microsoft, Adobe, and other products. Class Calendar: Calendar of offered trainings. Thank you for submitting your comments! The feedback box, located below, is intended for general comments on this page or service information and NOT for help with specific technical issues you are having with the service itself. If you would like a response to your feedback, be sure to include your contact information or log into it.byu.edu using the login button at the top of this page. Your feedback has been submitted. Thank You. Copyright Brigham Young University. All Rights Reserved.